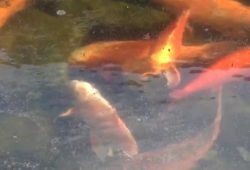 In this article I’ll tell you about Keeping Koi Carp in Ponds. 1 Create a Biotope Setting in Your Own Back Yard. Create a Biotope Setting in Your Own Back Yard. Neither goldfish nor koi occur naturally in nature. 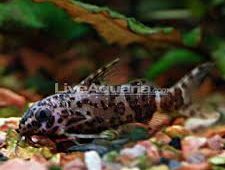 They are selectively bred fish who have had their features altered over a long time period. Wild carp is where both koi and goldfish come from. Wild carp are the most farmed fish of all time past or present. Over the centuries, wild carp have learned to adapt to many different conditions but they still need to have certain conditions met. In the wild, lakes and ponds go through climate changes. Koi carp can exist in freezing waters but prefer warmer water between 82F and 84F degrees. If you put a heater in your pond, koi carp will be active all year long. Waters in the carp’s natural environment should be a hard water, with high levels of minerals and slightly alkaline with the PH of 7 to 8.5. 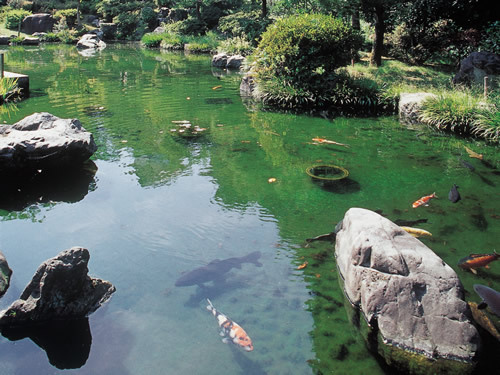 In the wild, carp like dirty water but for water gardeners and koi keepers, clearer water is preferred in order to see the fish. It is difficult and expensive to keep pond water crystal clear. If you remove too much dirt from the pond water, it will stress out the koi carp. If any of the pond fish have fry, they can greatly impact your water conditions. Use a biofilter to take away extra waste matter. “Bigger is better” is one of the main rules for housing fish. Offer the largest pond possible and this will make it easier to reduce fluctuations in their environment. Koi carp have learned or will learn to live through seasonal changes in your pond. By avoiding extreme temperature changes in the water, this offers a more stable environment. Just remember: In nature, the bodies of water are much bigger. A pond is much smaller so it’s much harder to keep the water conditions right. In nature, a wild carp’s diet consists of approximately 70 percent protein. This high amount of protein is not good for a pond because it will have an adverse effect on the water conditions. 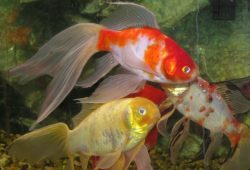 Most of food that is processed for koi carp has little protein but contains a high level of carbohydrates. This is a good thing because the carp will burn off the carbohydrates much quicker and it keeps the water cleaner. It provides the necessary nutrition to keep carp healthy and energetic. By providing koi carp the best conditions possible, they will grow to a large size and live for many years. They are available in a variety of brilliant colors and are a welcome addition to any pond.